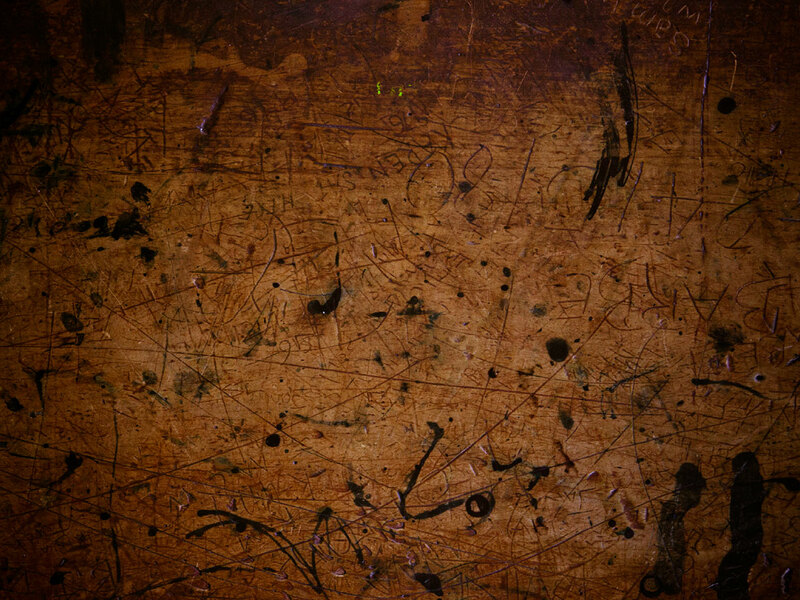 Clichés can be murder on the mind and the mood but every so often a filmmaker who’s more assured of their talents behind the camera than their ability to conquer the blank word document with its tyrannical, mocking cursor, can overpower an audience with style: a technique likely to anesthetise our critical faculties, preventing them from ruining our enjoyment. In Welcome to the Punch this isn’t just window dressing; Eran Creevy, along with cinematographer Ed Wilde and composer Harry Escott, have overlaid familiar elements with texture, movement and an aural pounding. This is London with the blue filter snapped over the lens – it’s melancholy. No one smiles there. Both coppers and criminals are forlorn, quietly seething or openly furious. The atmosphere is intense. It’s a mood that’s maintained throughout. Creevy took our BFI subscriptions and made a MOVIE. It’s the kind of culture-fart that David Cameron would approve of; it’s got mass appeal – a thriller fashioned as the British Heat. Not too distinctive then but at least the cockney version dazzles as it regurgitates. We have the age old tale of the hard bitten cop and the career criminal engaged in a slow war of attrition, perhaps more alike than they’d care to admit, who stand toe to toe on that invisible line separating law from law breaker. As James McAvoy’s mockney enforcer tries to capture Mark Strong’s thief, with a mutual enemy thrown in for good measure, we’re treated to a greatest hits package of Brit crime chestnuts; the cop that’s haunted by his past failure but must overcome it if there’s a story to be told, the sexual tension between him and partner Andrea Riseborough, the officious boss they all despise, the UK version of the corrupt D.A, the multiple-murdering hood who has a soft spot for his old Nan and so on. 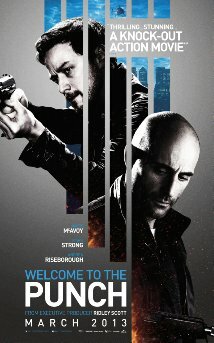 That the last of these produces one of the film’s best scenes; a tense standoff between Johnny Harris’ solider and a heavily armed super-group comprised of Strong, McAvoy and gruff heavy Peter Mullen – with Nan as the unwitting centrepiece; encapsulates the verve that pushes Welcome to the Punch over the top. Intense close ups, wild, lurching camera movements and slow motion in a short pressure cooker scene sum up its manifesto: sensory overload coupled with a smack to both eyes. Creevy, perhaps conscious that haughty critics will have fun with the love-a-duck accents and McAvoy’s brave attempt at relocating his voice from Glasgow to London, has plotted heavily; an attempt to give the mano a mano conflict some weight. Tying both men to a broader scheme involving political and police corruption is a smart move, adding shade to their relationship and deepening characters that might otherwise have been puppets of the plot. That moral ambiguity is reminiscent of better thrillers, like the aforementioned Heat, that had more magnetic stars to riff off, but that’s not to knock down Welcome to the Punch; it’s hard-edged and visually arresting. A characteristically vivid ending suggests a sequel. I’d hit it. Certificate: 15 for James McAvoy's cockney accent, Jason Flemyng and lax security at London City Airport.